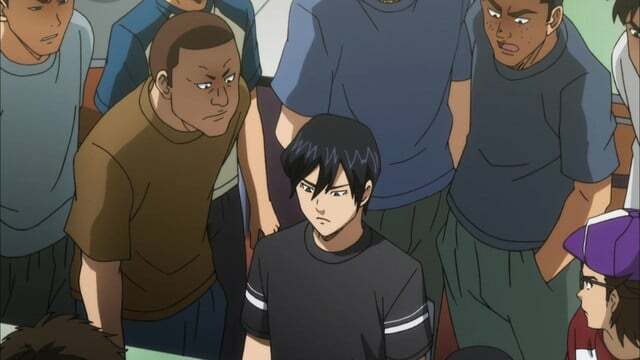 Coach Katoka, or Shades as Onoda calls him, organizes a game between the first years and the non-starters on the second and third year teams. The goal is to determine who will join the starters for upcoming practice games. When Onoda comes across Katoka in the bath, the coach gives him one final chance to answer his question. After the answer is given, Onoda is allowed into the upcoming game, but when he starts as an outfielder, it could spell doom for any chance he has on the varsity team.